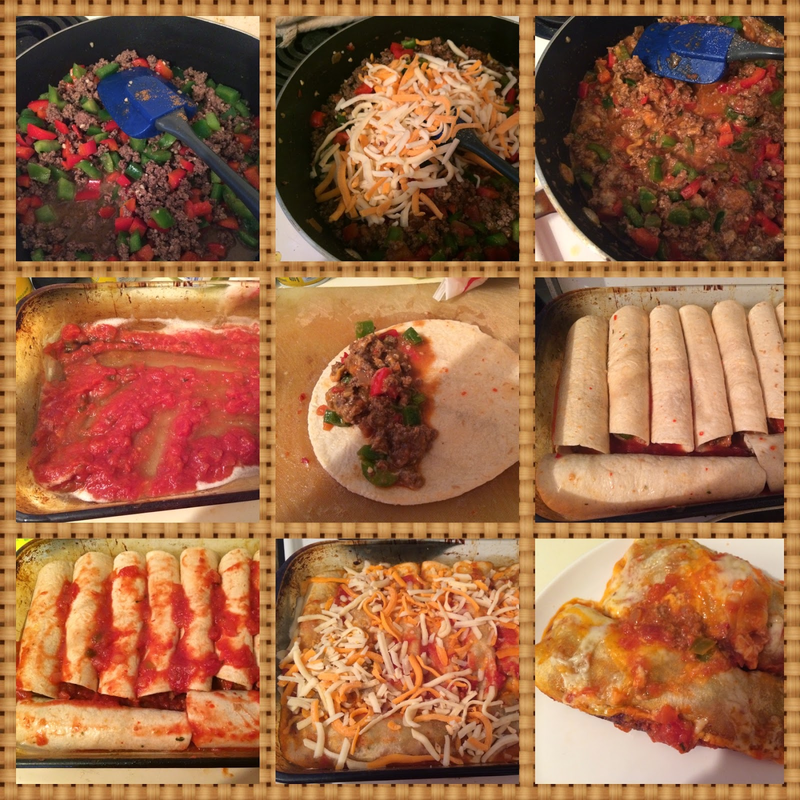 HALF BAKED: Best Ever Beef Enchiladas!!! OO ME!! PICK ME! ME RIGHT HERE WAVING MY HAND IN THE AIR!!! OHH PLEASE PICK ME!! Who loves all time it takes to make said Mexican food and have it turn out eatable? Well guess what? You are not alone! So here is my ALL TIME FAVE Enchilada recipe that with prep and cook time will take you under an hour! Brown meat with peppers in large nonstick skillet on medium-high heat. Stir in 1/2 cup salsa; simmer 5 min., stirring occasionally. Remove from heat; stir in 1/4 cup cheese. Spread 1/4 cup of the remaining salsa onto bottom of 13x9-inch baking dish sprayed with cooking spray. Brush both sides of tortillas with dressing. Spoon 1/3 cup meat mixture down centre of each tortilla; roll up. Place, seam sides down, over salsa in dish. Repeat with remaining tortillas; top with remaining salsa. Cover. Bake 20 min. or until heated through. Top with remaining cheese; bake, uncovered, 2 to 3 min. or until melted. Looks delicious! I just made tacos the other night and they were sooo good!